Involved with the Climate Centre since 2006, Maarten coordinates support to climate risk management across the Red Cross Red Crescent Movement, and links with scientific and policy communities on climate change, disaster risk management and development planning. Maarten was Coordinating Lead Author for the IPCC special report on extremes and a Lead Author for the IPCC Fifth Assessment Report. He holds adjunct appointments at the International Research Institute for Climate and Society at Columbia University, and at the Department of Science, Technology, Engineering and Public Policy at University College London. 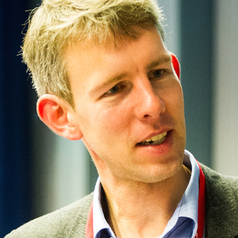 Since completing a PhD in atmospheric science, Maarten has also worked on climate change adaptation and disaster risk management with organisations such as the World Bank, several regional development banks, OECD, UNDP and several governments.